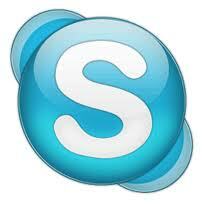 Skype - program, designed for communication over the Internet. The main advantage of this program over the traditional phone calls are free. ie. the user pays only for Internet traffic, which is consumed in the process of communication. The very same relationship with people, which can be virtually anywhere in the world (if there is Internet) is completely free. for users with slow and / or expensive Internet. Audiozvonki. This is a normal conversation, on the phone. The only difference is, that communication by computer (or other device, but not necessarily via the Internet). Therefore we need a microphone and headphones. This type of communication requires a faster connection and consumes more traffic. Video Calls. This is the most popular and enjoyable form of communication. When making a video call, the user can see on the screen to the other party, and he, in turn, User can see. An almost live chat. In addition to a microphone and speakers (or headphones), for this kind of communication is needed webcam. files. In addition to calls and messaging program can transfer various files. All of these services (including the program itself) available for free. However, for an extra charge developers offer several useful services.